For some reason, after denying that the phylogenetic tree of life exists, Bible Life Ministries goes on to claim that so-called “Missing Evolutionary Inferior Branches” prove evolution wrong (Why do they try do disprove branches of a tree which they claim doesn’t exist is beyond my understanding). This isn’t even an argument, but another ignorance of the Theory of Evolution. Do You Even Know How Evolution Works? Their claim is that some individuals will branch off and create new evolutionary pathways. Those which are superior would create succeed in surviving and the branch would progress until this day. The less adaptable individuals would create new branches as well, but would eventually die out. Well, here’s one thing I need to admit: They got this right. Those that survived and reproduced successfully would have their genes passed down, but not those who didn’t. But they get it wrong straight after this. They claim that scientists have been searching so much for superior evolutionary branches that they missed all those branches that didn’t survive until this day. Well here’s the truth: Every fossil found almost certainly did not had its lineage until this day. No scientist would ever claim that a fossil represents our direct ancestor. Instead, every fossil is a great-great-great-great…… grand uncle/aunt. Archaeopteryx did not evolve into modern day birds; we did not evolve from Tiktaalik, but from a similar tetrapod. There is no way to confirm whether a fossil is our direct ancestor, and the odds are much higher that it is on a similar, but separate branch. 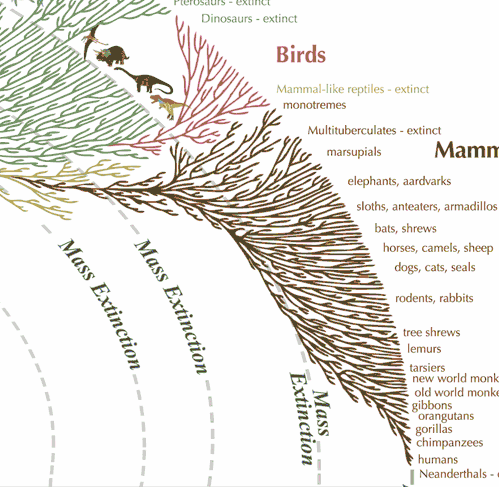 As you can see, there's quite a big number dead branches on the Tree of Evolution. So yes, the fossil record is consistent with the Theory of Evolution after all. 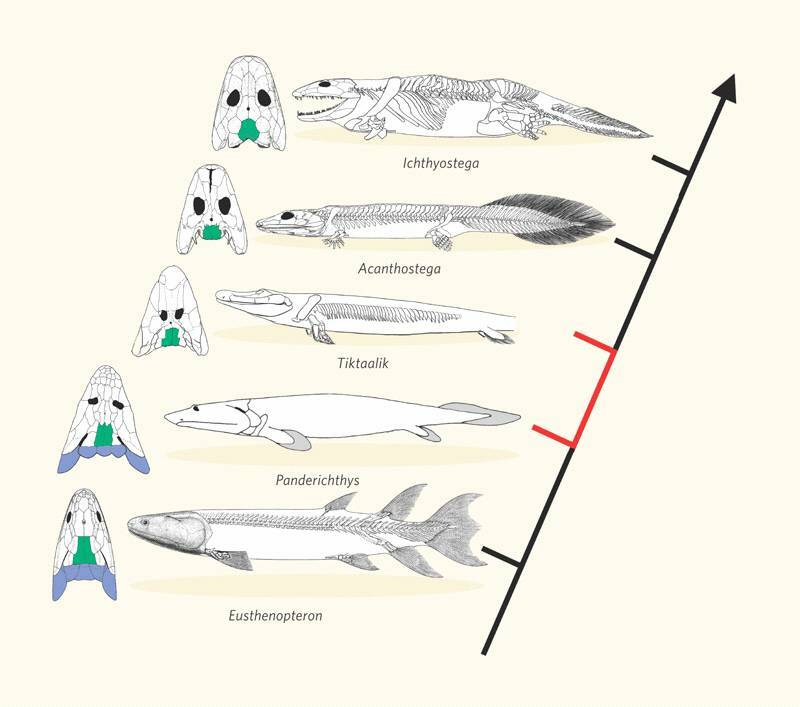 No scientist ever claimed that we directly descended from this fishes/tetrapods, nor do they say that this set of fossils represent a perfect, linear evolution. Instead, they are more like cousins. Thus, as I have shown, the "missing inferior branches" are in great abundance. So maybe (almost certainly) the fact is that Bible Life Ministries is completely ignorant of evolution. Bible Life Ministries next claim involves a old creationist tactic: Irreducible Complexity. Let me shred this claim in the next post.